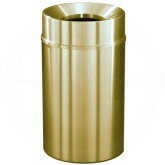 Glaro's "Atlantis" All Weather WasteMaster Collection features a Classic, Satin Brass finish, and is designed with distinction, elegance and lasting durability. 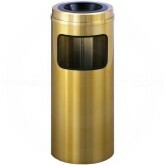 It's heavy gauge, beautifully finished "All Weather", rolled Aluminum construction will withstand years of use in even the most demanding environments. 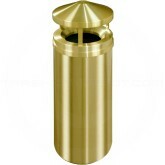 The beautiful, Satin Brass finished tops are formed by Glaro's hand spinning process from heavy gauge, seamless aluminum and then satin polished and finished with a permanent, high temperature baked enamel coating for everlasting tarnish, rust and scratch resistant surface. 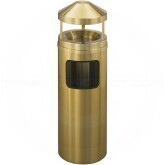 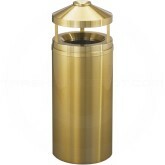 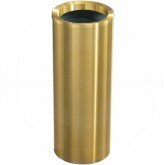 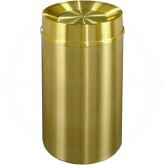 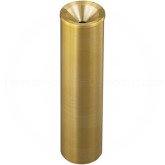 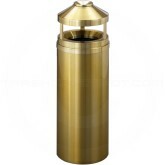 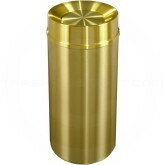 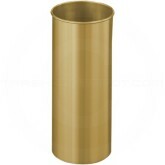 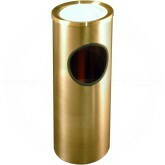 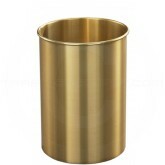 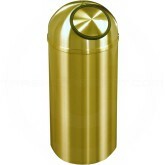 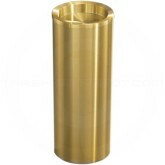 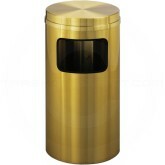 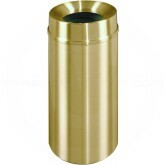 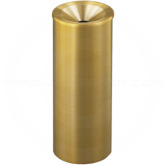 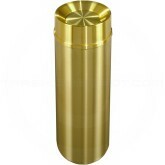 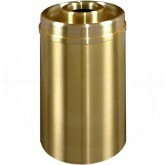 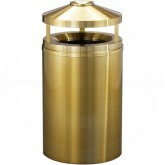 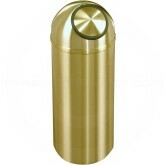 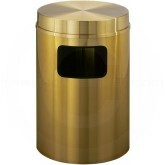 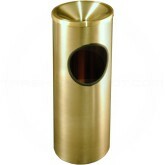 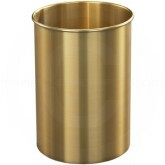 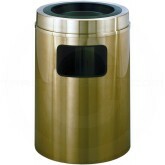 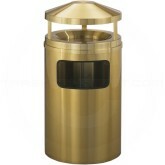 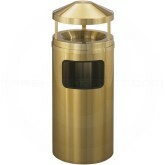 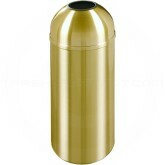 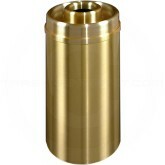 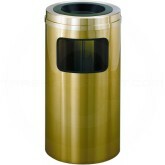 These waste receptacles are certain to add that "Sophisticated Styling" to any decor. 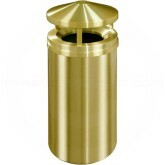 Additionally, every WasteMaster receptacle contains a tough, galvanized steel inner receptacle with both a "lift out" handle for easy removal refuse and a permanent non-corrosive, non-rusting aluminum bottom for added floor protection.